Bike renting is a good way to cross the clogged city and enjoy the view of it at the same time. 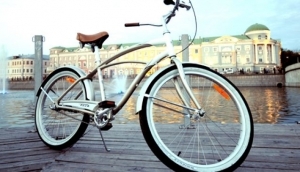 There are modern and comfortable bikes for a ride at Moscow bicycle stations. Don't ignore the way to use green means of transport and find yourself on the picturesque Moskva river embankments or in a beautiful park.